The Caribbean Islands. Known for their vibrant blue waters and long stretches of beaches have been ignored by many travelers lately. Some are fearful that the comfortable accommodations and amenities may not be quite the same after the recent hurricanes wreaked havoc on many of the islands. I would argue that now is exactly the time to visit. They all rely very heavily on their tourism business. 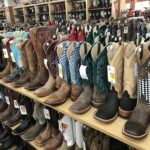 Planning a trip and spending your money on the local food, in local shops, and with local business owners is the quickest way to help them grow and thrive. 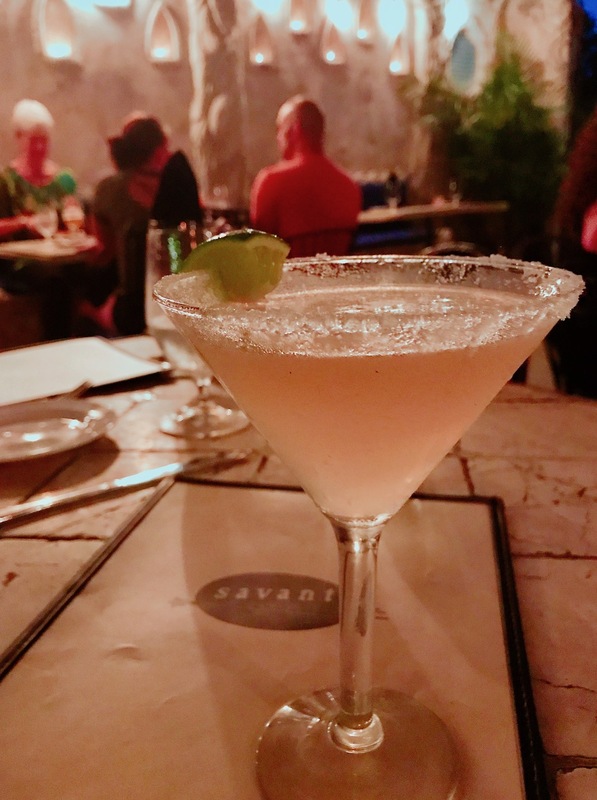 On my recent visit to St. Croix I learned that there are many, many tasty reasons to visit. 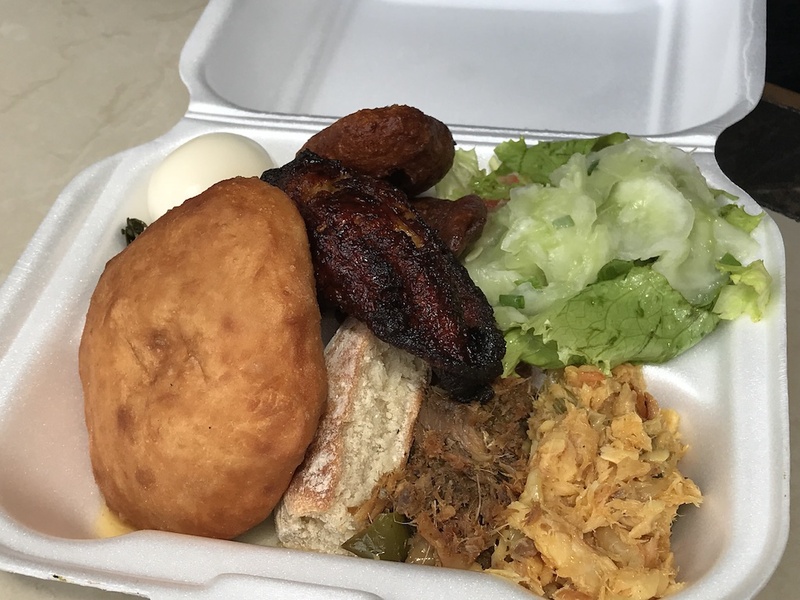 In fact, my short visit and my limited stomach space made me keenly aware that I will simply need to return to continue my food explorations in St. Croix. 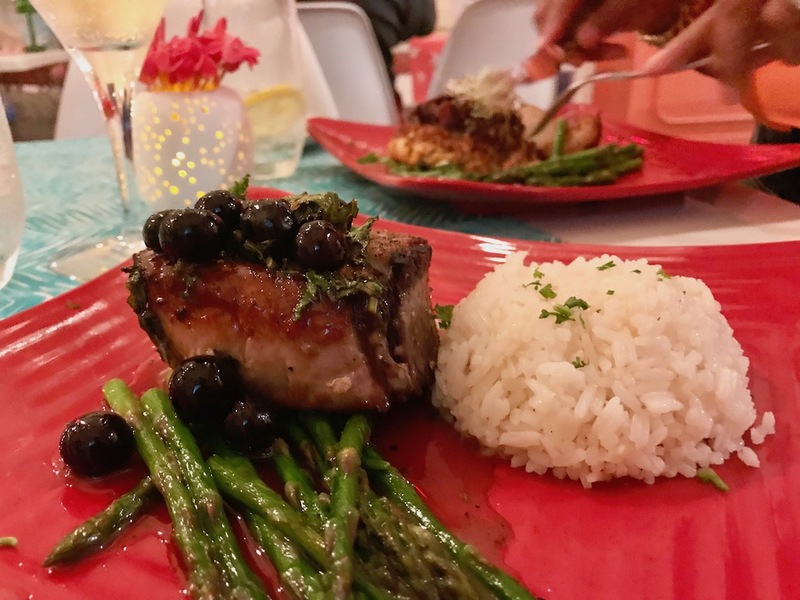 While I was initially invited to attend the St. Croix Food and Wine Experience I was quickly swept up in the enthusiasm of our hosts and wanted to try everything I could. Be warned that if you don’t like warm, friendly people who will make you feel welcome from the moment you arrive – this is not the place for you. By the end of the first day of my visit, I had more “cousins” than I ever knew existed. Now you may write this off as touristy and pandering but you would be wrong. I had serious conversations with many island people we met. We talked about the hurricane restoration, employment, seafood sustainability and much more. 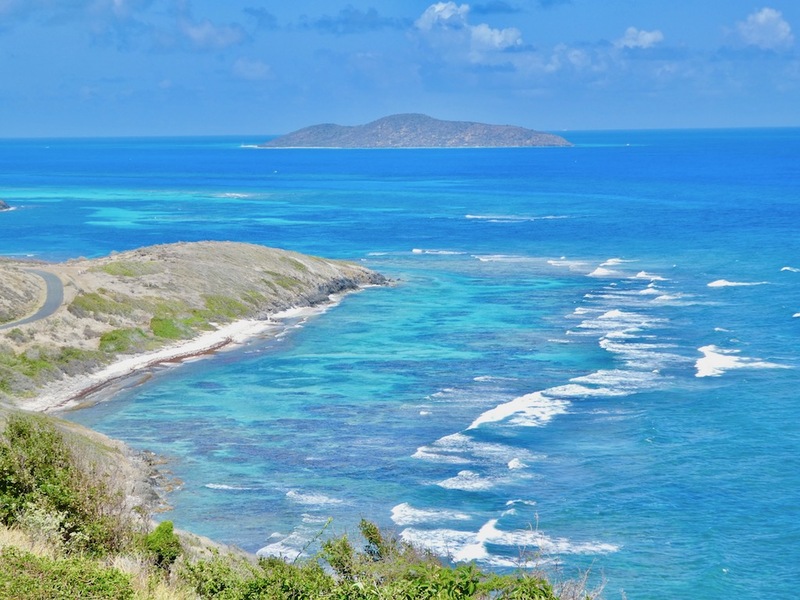 What surprised me was the number of expats who live on St. Croix. Many started as tourists and quickly discovered that this island was their home. Everyone is welcome. Really. One day during our visit an Olivia Cruise with over 2,000 lesbians arrived on the dock in Fredrikstad. 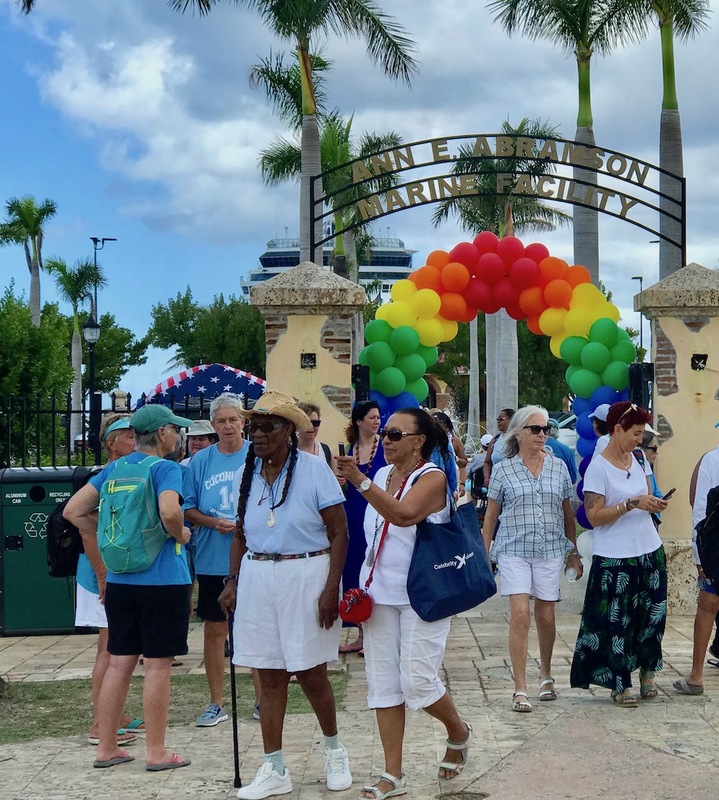 There were bands, stilt walkers, rainbow balloons and even a giant beach party thrown by a local hotel, the Sand Castle. Rainbow flags were everywhere letting the gals know they were not only welcome but that St. Croix was glad they were there. My visit was so robust that it’s going to take a couple of posts to cover everything. Let’s start with a focus on the food. Here are 10 spots on the island that you simply can’t miss. 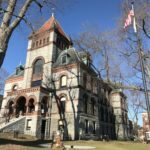 Is this a definitive list? Absolutely not. It’s just the start. I love walking into restaurants that have magical entrances. Little paths that you take wondering what culinary treats you’ll discover at the end. This was the case with Savant. When you enter the garden patio with twinkling lights and flickering candles ensconced in the walls you know you’ve arrived at someplace special. Be prepared to spend a long time here. Not in a bad way but in the way that you will want to take your time to saver the whole experience. Enjoy the beautifully designed space. Take your time choosing the right cocktail (there are way too many good ones). Take your time with the specials. There were six specials the night we visited. The menu changes every night as the chef prepares the freshest fish and produce on the island. Happy to see my favorite vodka Tito’s on the menu, I had to try the Ruby Red Martini. They make the cocktails strong and delicious. Prepare to sip and have a wonderful conversation. I have to admit that when our server read the specials there were so many that appealed to my stomach. When she asked what I wanted I, of course, asked her to repeat several. Seeing that I was having trouble choosing she said that my eyes really lit up when she mentioned the crispy skin snapper (am I that transparent or was she that observant?). I went with it and it was a perfect dish. I admit to trying everyone else’s meal that night (thank you friends) and every single dish was excellent. Don’t miss this spot. The menu here was simple and delicious. I like the fact that I could see the chef just behind the swinging doors a few steps from my seat. It’s a small spot but not small on service or culinary prowess. We started with some crunchy edamame wontons and cocktails to get the party going. I’m going to say right here that if I’m going to an island or coastline location I’m going to be eating seafood at every meal. I live in the middle of the U.S.A. so fresh seafood is a delight I indulge in whenever I can. This was our first night on the island so fresh seared tuna with peppercorn crust and local blueberries was a perfect way to start. We also met some local homeowners at the restaurant, who insisted on meeting us and telling us all about how they discovered St. Croix while visiting and decided to make the island their home. It was just the first of these types of stories. If you’re looking for a spot to eat on the beach in a beautiful unpretentious setting check out the Beachside Cafe at the Sand Castle on the Beach Resort. 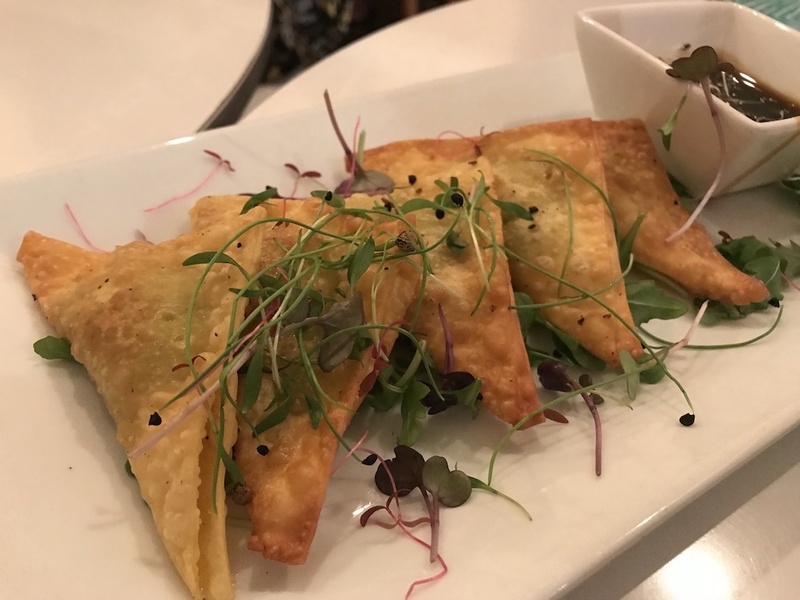 The eclectic menu has something for everyone. This is another place for amazing seafood. 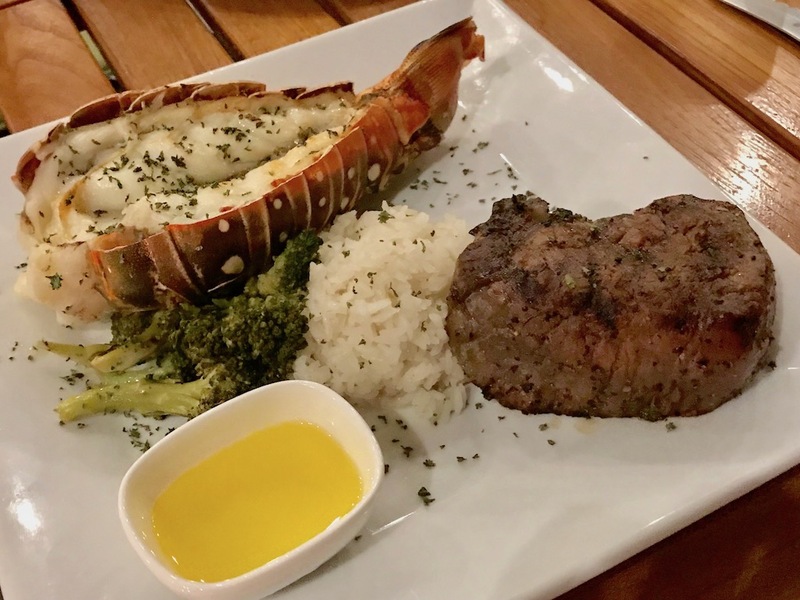 Try the sweet Caribbean lobster with beef filet if you’re feeling hungry. 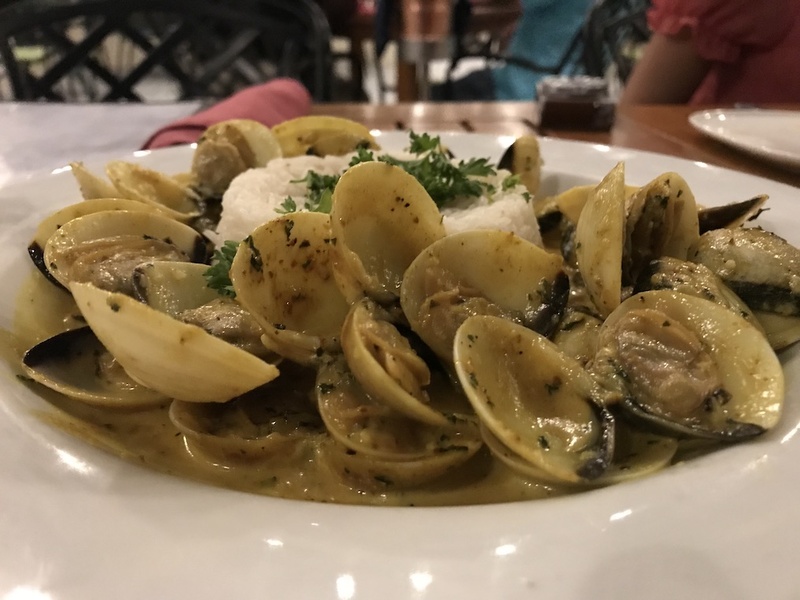 The chef also has several preparations of mussels and clams that you won’t want to pass up. Be sure to leave room for dessert. 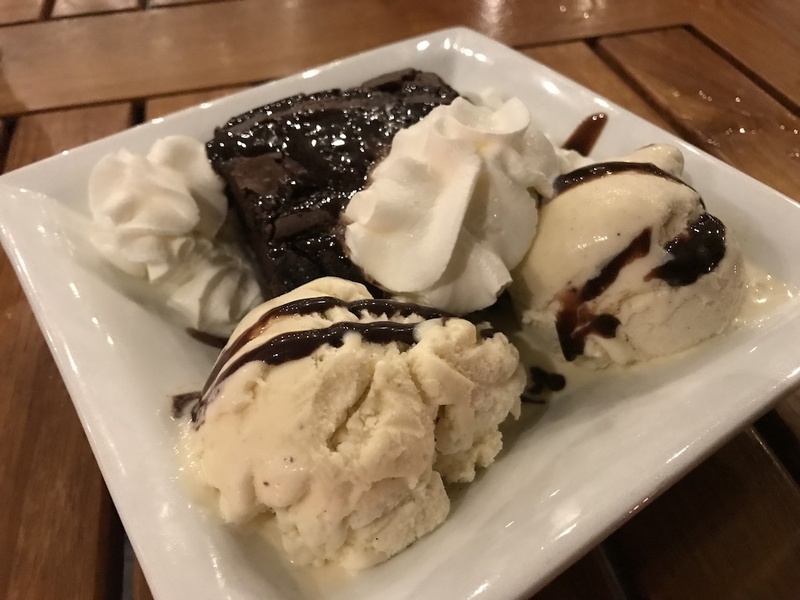 The brownie with fudge and ice cream is a shareable fun treat for the table. We had the pleasure of staying at The Buccaneer during our visit. The resort is up and fully functional. The oldest hotel on the island, it is among the Historic Hotels of America. It’s also home to several restaurants available for guests and visitors. The beachside Mermaid Restaurant serves up salads, sandwiches and libations. 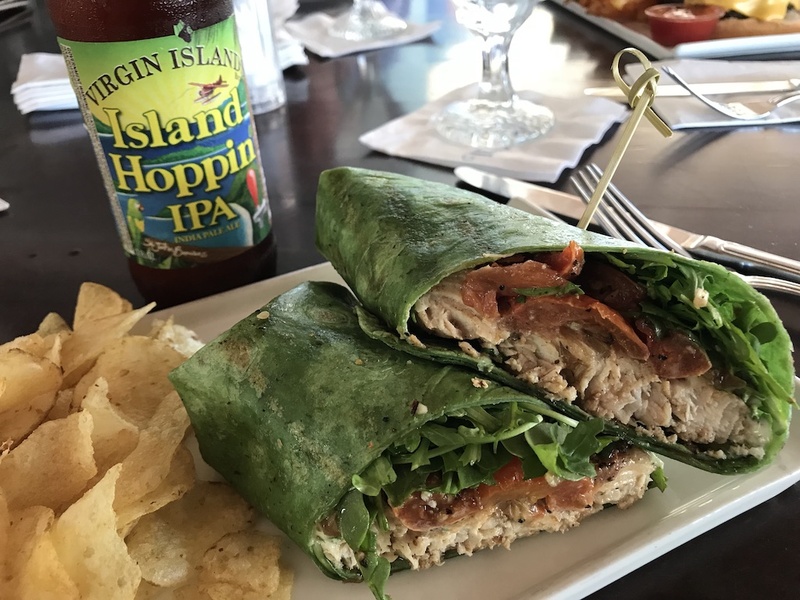 I had the snapper wrap with a local Virgin Islands Island Hoppin IPA. Perfect after a snorkeling excursion to nearby Buck Island National Reef. The Buccaneer also serves up a fine breakfast buffet back at the main building. Located on the top of a hill the restaurant also gives you a lovely view with your meal. The buffet has local fresh fruits, an omelete station, lots of pastries, waffles, cereals, yogurt and more. They say that this spot is either your first meal or last meal in St. Croix. 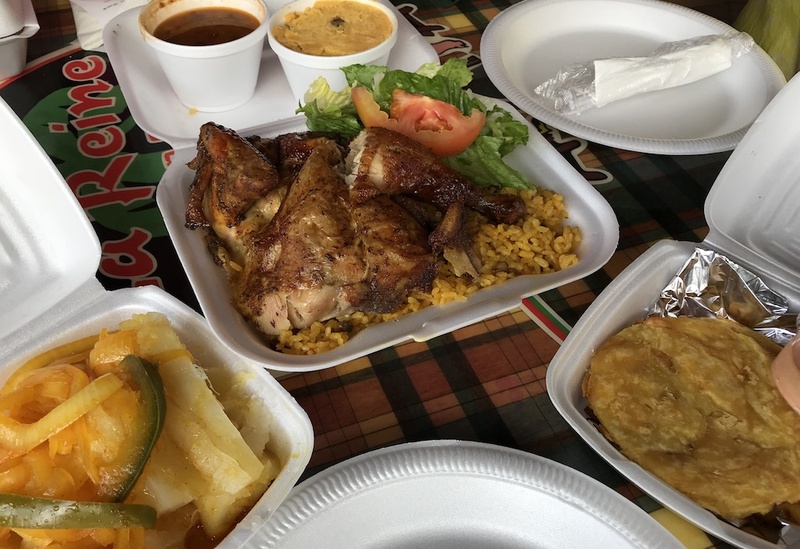 Located near the airport it’s easy to see why this rotisserie chicken restaurant became so popular. Take a trip around the back to see the chickens spinning away. They say they sell hundreds of chickens every day. We got there early on our way out of town and there was already a line. Don’t be put off by the styrofoam containers. This chicken has some good flavors going on. I suggest getting all the sides for the best experience. You have to try the Johnny cakes, cassava, plantains and all the sauces. I’m pretty sure La Reine’s has been on plenty of flights back home! It’s a coffee shop and a restaurant. Stop in if you just want to sit, relax and sip a coffee or fresh juice or something stronger. Stay for lunch or dinner and choose from fresh fish, curry chicken or stewed beef. One of our new friends ordered the whole snapper and I’m not gonna lie, I had a serious case of food envy. My grilled salmon was delicious but the sides of beans, rice and homemade baked macaroni really made it a meal. This local spot is busy and for good reason. They are making yummy, creamy ice cream. You will be in line with tourists and locals alike. Check out some of the local flavors like gooseberry, guava, mango, passion fruit and soursop. 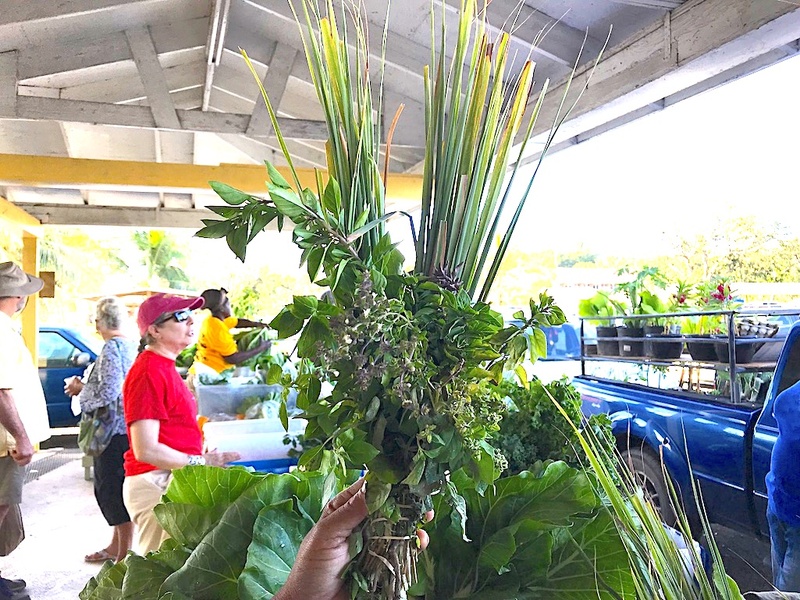 If you’re lucky enough to be in St. Croix on a Saturday get up early and go to the Farmers Market. It’s just another opportunity to meet locals and check out the local produce and fish. Even if you’re not going to purchase produce or fish you’ll find some interesting items. 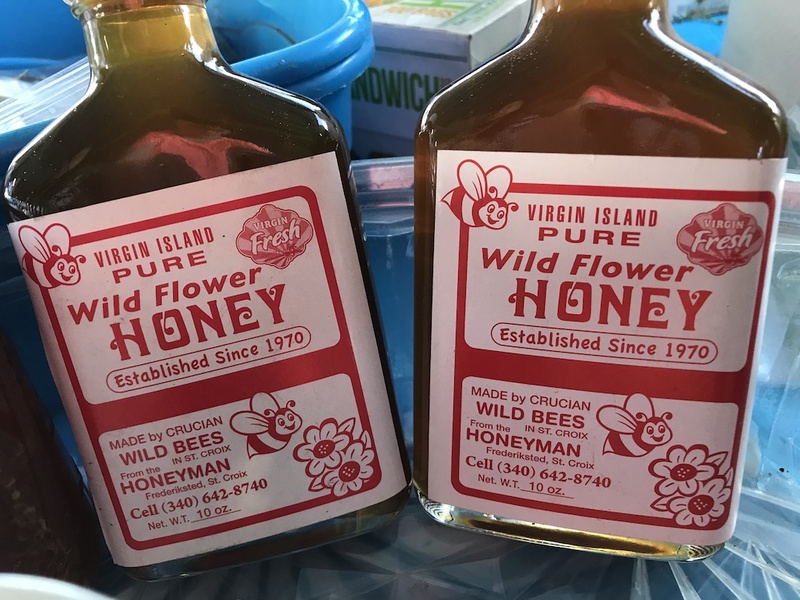 Locally made honey is perfect to go along with the bundle of herbs you can buy to make your own Bush tea. Bush tea is a local favorite concoction that locals each put their personal spin on with their own combination of ingredients. In addition to being tasty, it can also be used for medicinal purposes. Don’t want to make your own? There’s a vendor ready to serve some up. 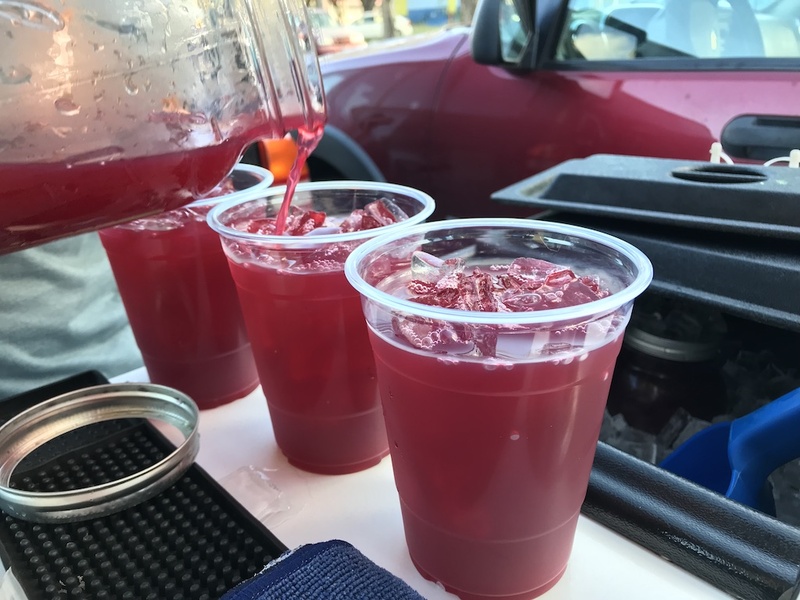 The one below was made with herbs including sorrel, which had a bit of a sour taste but was super refreshing on a hot morning. What? Yes, in St. Croix there are gas stations that turn into nightclubs. They serve beer and make food. People hang out just like they do in bars. I wish I had more time to explore these fun little hot spots. I’m fairly certain you could do a gas station crawl and have a wonderful time. The locals have their favorites. Don’t be afraid to join in the fun. You will meet a lot more cousins. You’re gonna have to ask a local how to get to Frontline. Go for the breakfast and go on Sunday if you can. Tell the man at the counter you want the breakfast. Pay him cash it’s under $10. Wait. He’ll hand you a box. Take the box get back in your car. Drive to the beach. Open the box and find a Johnny cake, a boiled egg, a chicken wing, a small green salad, fish salad and a hunk of bread. Now you know that whether you want a beachside snack or a gourmet meal you can find it on St. Croix. The abundance of fresh seafood, locally grown produce and locally sourced products (and Cruzan rum!) make this a food and drink paradise. Be assured that the island services are up and running. Are they still rebuilding? Yes. Are they ready for visitors? Absolutely. The positivity and resiliency of the Crucian people is palpable and you will feel like you have arrived home. After all, you will discover favorite cousins you have never met and they will stay with you long after your time on this tasty and beautiful island. Stay tuned for more on where to stay and what to do in St. Croix. For more information on traveling to St. Croix check out VisitUSVI.com. I visited my brother and his wife for 14 days this year. They recently moved to St. Croix after falling in love with it. I can honestly say that I did not have 1 bad or just ok meal. The choice of mouth watering, inside/outside dinning is amazing. 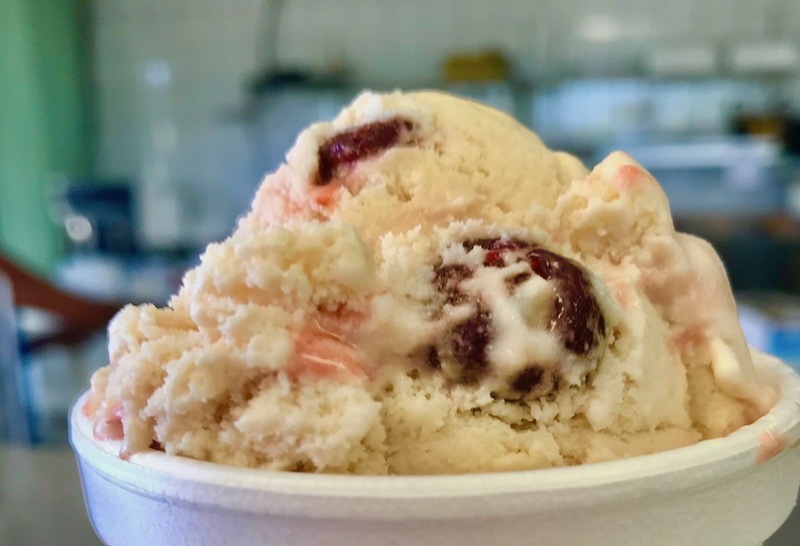 We were all over the island from Ziggys’ gas station to the Fly (homemade ice cream) The island is full of very talented chefs. Looking forward to next years menus. Hi Kim! 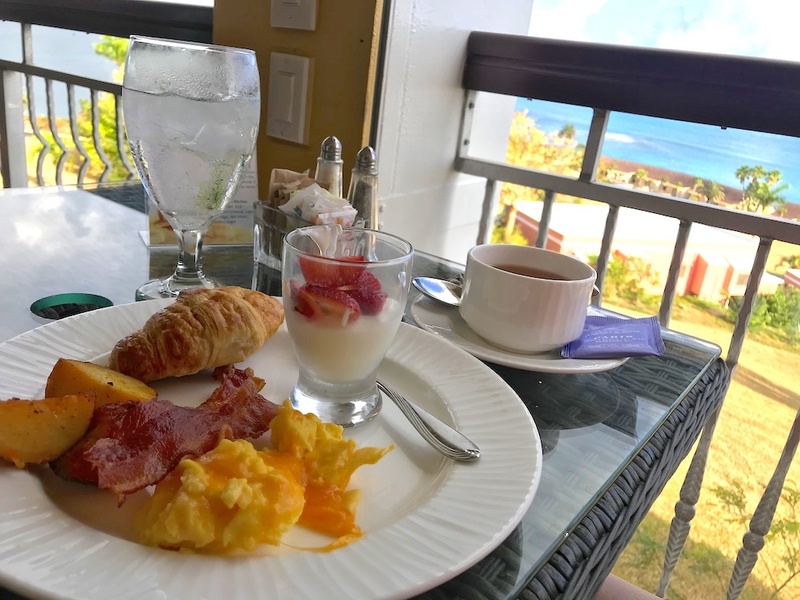 So happy to hear that you experienced the same wonderful cuisine in St. Croix. Thanks for stopping by and sharing your food travels. I love the Steak and Lobster! Thans for sharing! 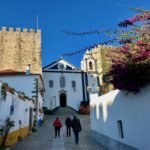 Thanks for featuring our beautiful island and what we have to offer. 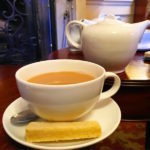 Lovely article and please visit us again. Thank you so much! I hope to visit again soon. You did not mention The Domino Club,ms.Norma’s place,in the Rain Forest.She have the best “Johnny Cakes” and great Fried Chicken and of course her shots of “Mammawhannas”as well as her Hot sauce. It is also the place for the Beer Drinking Pigs(only non alcoholic beer). Hi Aina! Yes, I’ve heard of those often mentioned beer drinking pigs. I, unfortunately, didn’t get to experience them for myself. Thanks for the other suggestions as well. All of these are good, but this list is missing one restaurant. Riso’s Bar-B-Que ! Their food is amazing. I ate there for my first few nights because it was across from the inn I was staying at. That place has some of the best BBQ I’ve ever tasted and the sides are great too. It was my first time trying the sweet potato stuffing and it was delicious. 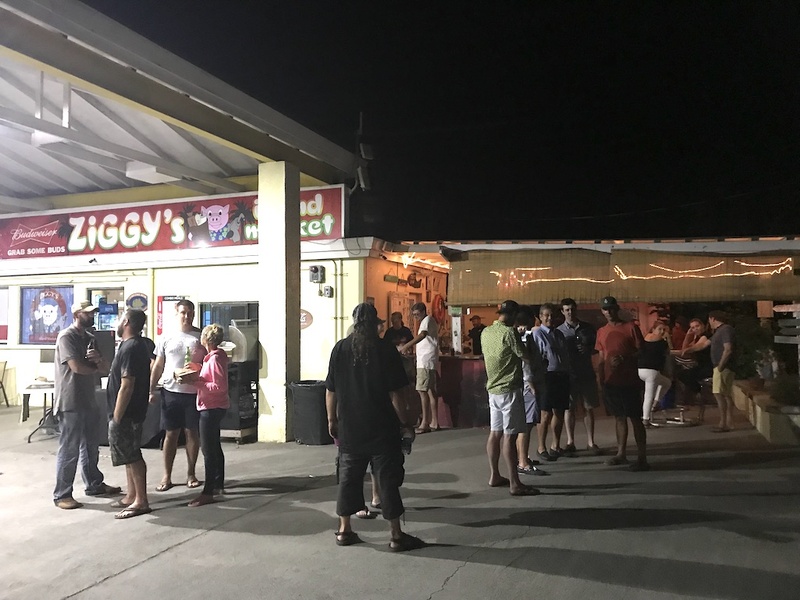 It’s a little food trailer in Christiansted town. I’m surprised it’s not on this list. I totally recommend it. 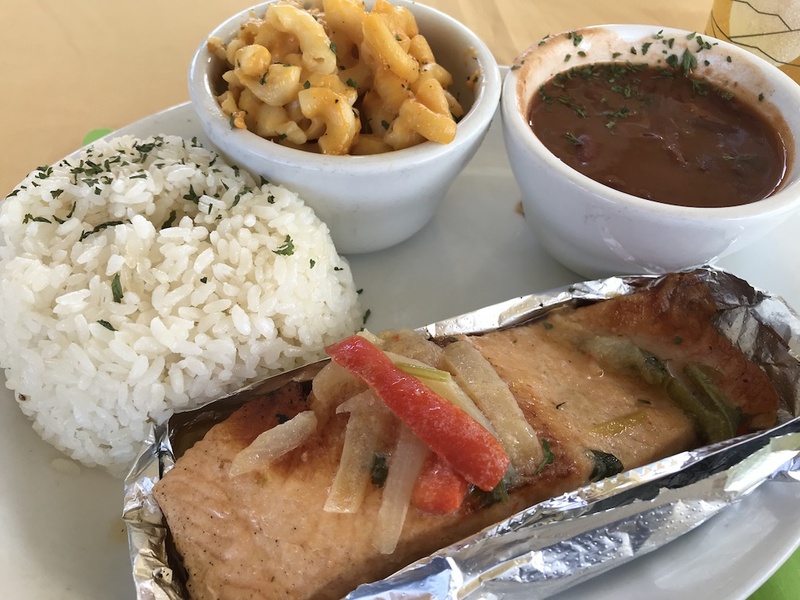 St. Croix has a lot of good food that will keep you coming back. I will be visiting there again for the Carnival season. Only one? 🙂 I’m sorry I didn’t get to try Riso’s BBQ your ringing endorsement makes me want to go back and try it ASAP. Thanks for the tip. It’s the perfect time to go back Jan! Good morning! St. Croix resident here. You certainly got a diverse taste of our offerings during your stay. There are so many more fine restaurants here to enjoy, as well. It’s why I’m constantly watching my weight. Just a caution, if you’re coming here for the cuisine: Many restaurants close down or restrict their hours in September and October. And many that are open during that time don’t have their regular chefs working, so there are fewer selections. Because most tourists don’t come here during hurricane season, business is slow, so that’s when they take their vacations. Thanks for your comment Nancy. And thanks for clarification on the “ex-pats” versus the “continentals” or “transplants”. I struggled with what to call them so I appreciate your perspective. Hi Dave, thanks for stopping by. Glad you have a high opinion of Sandcastles. I hope to return and stay there with my wife. Yes, St Croix has a wonderful food story but an even better people & place story. 43 years of coming and going have become part of me, roadside food, food trucks, church eats, & beach boils/bbq’s get even more interesting with homemade hot sauces, teas/infusions, and even some fermented/distilled ‘craft drinks, not to mention sea moss & maubi. Thanks for the additional recommendation Pierre! OMG…all that food looks so luscious (especially paired with the colorful cocktails). 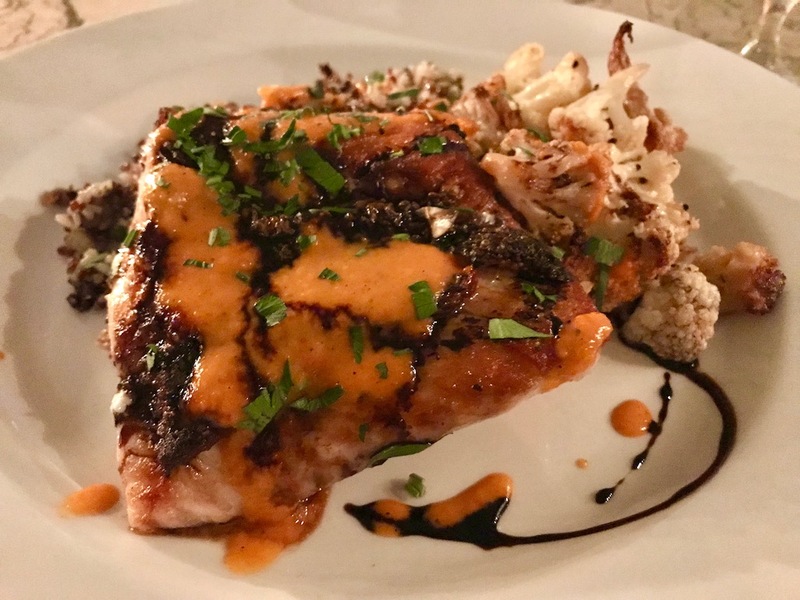 You’ve really made the case for St. Croix as a culinary destination. Hi Irene, this truly is a food paradise. Hope you get to visit one day. I would never fit in my swimsuit with all those temptations. Love the idea of making bush tea and love the special meals. What a cool time to be there with the festival. Oh my! 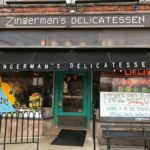 Reading this article has made me hungry. 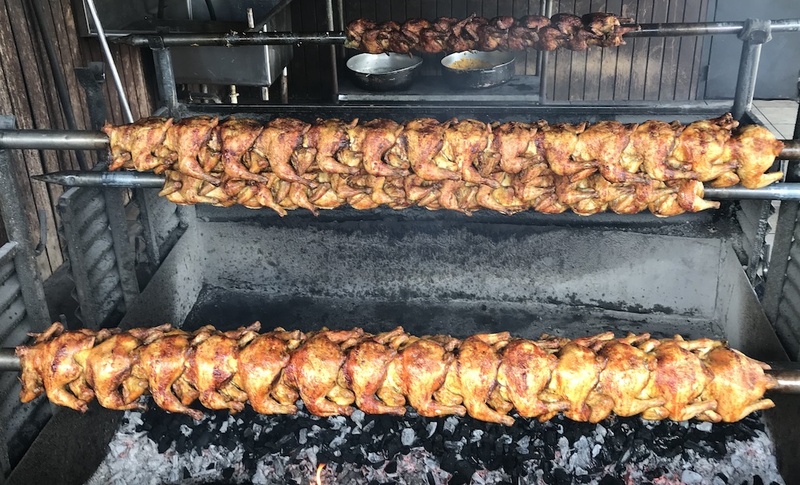 The pictures are so inviting (Love the roasting chickens) and mouth watering. We have visited a few of the islands, but it looks like we need to add St, Croix to our list. Thanks Jeff! 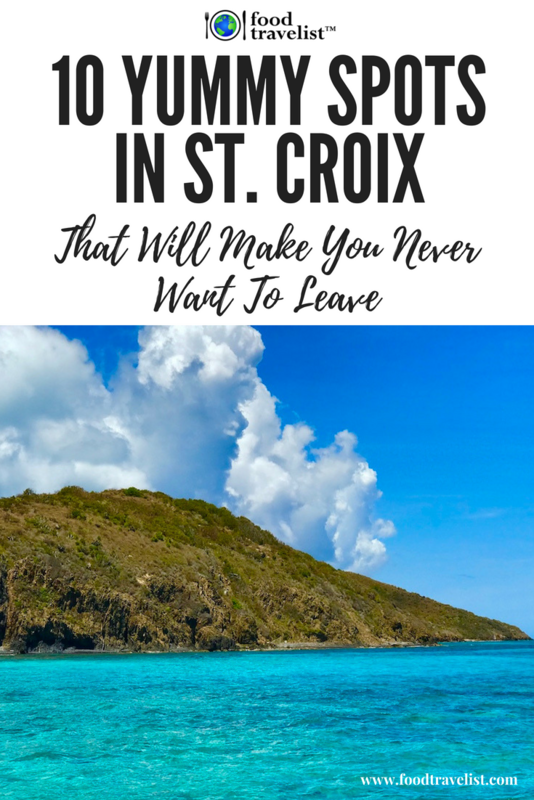 You will absolutely love St. Croix! Wow!!! The crystal blue waters of St. Croix look amazing enough. But all those culinary delights you experienced have really caught my attention. I hope I get to visit St. Croix soon. Hi Doreen! I hope you get a chance to visit there too. There’s a lady who has a chocolate shop in the rainforest. It was closed the day we visited but I’ve heard good things. I was waiting for scenic spots! And then all the glorious food came. Desperately trying to find the name of that wrap kind of a dish. Can’t wait to have our three months’ all-inclusive in Mexico. Then my posts will look like this, I bet! Thanks Carolina. Wow, three months in Mexico! What a treat. I’m sure you’ll be able to find similar food. Mexico has wonderful seafood too. My guess is that you’ll get tortillas as “wraps”. Have a wonderful time! I think the wrap you are referring to is a Roti….They are delicious!!!! Ooh these all look great! I am a huge fan of visiting places purely for the food, A good holiday to me is coming home raving about the amazing places we ate out there! YUM! Thanks Laura! I hope you get to visit St. Croix someday. My mouth is watering the whole time I’m reading your post! I want to go to St. Croix! Wow, the food looks truly amazing! I definitely like exploring the world through food. Everyone makes something just a little differently than its neighboring country and its neat. What a beautiful place too. Hi Heather! St. Croix is beautiful and tasty too. Yep, I’d never want to leave. This all looks so amazing, would love to visit St Croix! Looks so peaceful and lovely. It truly is peaceful and lovely Jeanine. The only remedy of missing St. Croix is to return! Oh my gosh, everything looks super delicious! I wish I could visit St. Croix as soon as possible to check out some of these great finds. This food all looks amazing! I totally want to check out these Gas Station parties. How interesting! I would want to stay for that view of the water alone. Add the amazing food and forget about it! Oh my gosh all of these food look super delicious. I’m tempted to order the clams since I’m into seafoods nowadays, then pair it with the hot fudge brownie for dessert. Yum! The different foods look and sound unbelievable. It would be great to go to a place with amazing beaches and then get wined and dined in the evenings. You are correct! I would NEVER want to leave that Crystal Blue water. I could bring a book and sit there are day just enjoying the view! So beautiful! Ok the food looks great too!